The doll Wheelchair is a Sophia's product, suitable for 45-50cm dolls. It is exceptionally realistic, the wheelchair even folds the same way as a full-size version. It's a great accessory for playing hospitals, or even paralympics! The doll wheelchair has swivel wheels and a pink canvas seat. You can easily push your injured doll around in the collapsible wheelchair. The large back wheels move forward and backward and the smaller front wheels move in all directions. The foot and wrist casts can help them mend any sprained or broken bones. It folds up for storage and has movable lock brakes, armrest, foldable footrest, push handles, back rest, and push rim. 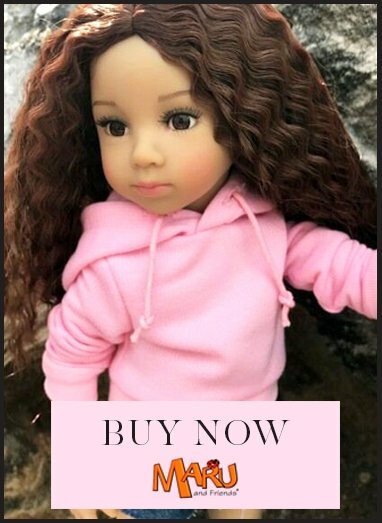 This beautiful doll accessory set is imported from the USA and has been tested to American toy safety standards and is recommended to children age 5+ in USA. However as it has not been tested to pass our safety standards in Europe we must recommend this wheelchair set for children age 14+ and collectors.